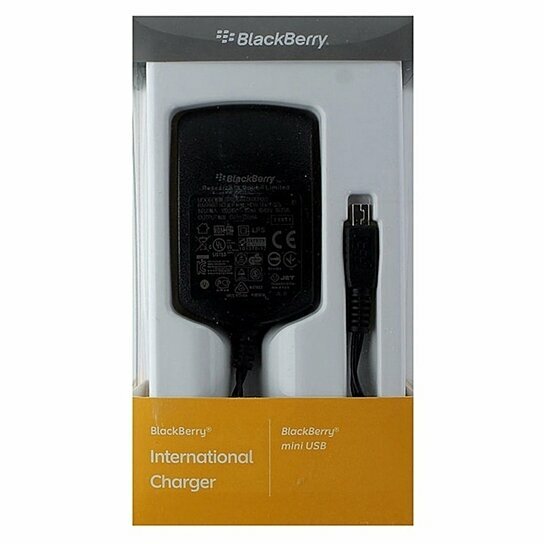 BlackBerry brand International Charger with a Mini-USB Connector. All Black finish. Switch the clip on the back of this charger to adapt to electrical outlets in almost any major country in the world.